4 track 12" vinyl ep released on Fire records in the UK in September 1988. Produced by Barry Adamson. Recorded at the Greenhouse in London. 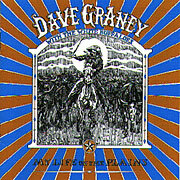 Cover designed by Dave Western. "Listen to her Lovers Sing"
"A deal made for somebody else"
"the greatest show in town"
Dave: "We'd finished up with the Moodists in early or mid '87 and I was pretty burned out as far as the ambition of being in a band went. Clare on the other hand, was quite eager to play with other people and went fearlessly about it. London was full of people wanting to play music. We'd met a few people through a brief association with Creation records and Clare hooked up with Gordy Blair through some mutual friends who had played in an early Creation band called "the Jasmine Minks". I sat around , working in various temporary jobs and listening to lots of music, something I'd not really done while in the Moodists. I got a real taste for the late sixties American songwriters like Fred Neil and Jimmy Webb and started to think about playing some music again. I had also really gotten into American psychedelia through records such as "forever changes" by Love and "happy trails" by the Quicksilver Messenger Service. The latter band, through the obsessive record scrounger, Epic Soundtracks, led to a total fixation with the great lost psychedelic pioneer cowboy band, The Charlatans. All this fruity , dusty western imagery really came out on the next record. Malcolm Ross had played in the last version of the Moodists. Louis Vause was a friend and genius piano player we met through working and mutual South London pals. We played wherever it was possible around London in 1987 and after making a demo with a jazz pianist friend, Mark Fitzgibbon, Fire records offered to record us. At the time their main acts were an obscure band from Leeds called Pulp, an obscure band from Bristol called the Blue Aeroplanes and a band called the Spacemen 3. After a long time living in the UK, someone in the Home Office discovered our passports were those of two dinky di fourth generation Australians who had no British relatives and therefore, no right to live in the UK. We were asked to leave just as our first ep came out on Fire which was a bit of a bummer. We borrowed some money and flew back to Australia on Aeroflot, worth a story in itself. We had very little in the way of prospects and it was a real trip into the unknown. Eventually we were delighted to find ourselves among old friends in Melbourne. It was a music scene which was lively and, as a real opposite to London, not directed at an all powerful media but just simply and practically made for people. We started to play with Chris Walsh on bass, who had been in the Moodists, Conway Savage on the piano, and a friend he brought along, Rod Hayward on guitar. The line up was completed by Marty Lubran on pedal steel. (This is on the recording only). He had a brilliaant touch as he was not from any kind of country rock school of orthodoxy on teh instrument. We were still planning on heading back to the UK as soon as we could and just started to play for the hell of it. It was very much what I would call, "Buckskin" in it's orientation. I grew a big curled moustache and goatee a la Wild Bill Hickock and dress in light brown suede, ostrich and snake skin. Fire records were selling a lot of Spacemen 3 albums and someone suggested we record in Melbourne. A good friend, Phil Vinall, flew out from London to produce the record. We recorded it in 11 days in May 1989. The bands name came from a seventies western novel by a fellow named Richard Sale. It was made into a movie starring Charles Bronson. The story is that of Wild Bill Hickock, half blind and just before his death) and Crazy Horse (mad with grief at the recent loss of his child), both being haunted by dreams of a great white buffalo and going out to actually hunt it. The title of the album came from the autobiography of Lt Colonel George Armstrong Custer. The White Buffaloes played about 60 shows in Melbourne and Sydney through 1989/1990. Conway Savage left to join Nick Cave and the Bad Seeds in early 1990. Marty Lubran left to pursue his own interests around the same time. Graham Lee joined to play pedal steel for the latter part of the band. Both of these tracks were live standards played by the Charlatans in the mid to late sixties. The first two tracks of this ep were included on the next cd. The cover was a hand drawn illustration by Dave Western. Vinyl lp released on Fire records in 1990. Also released on cd including the "stone beach " ep. Now available on Universal Music Australia. Produced by Phil Vinall. Recorded at Sing Sing in Melbourne. Cover designed by Dave Western Video for "Robert Ford" shot and directed by Tony Mahony. "Robert Ford on the stage"
" I'll set the scene"
In June 1990, Clare Moore, myself and Rod Hayward flew to London to rejoin the Coral Snakes we had left behind in 1988. We intended to support the White Buffaloes record and to record another. I had held a lot of songs from 1988 over, songs that I thought could be done only by the Coral Snakes. I had also written a swag of others. We eventually began recording in an outer suburban studio which was situated in a house owned by one Mathew Fisher, once the keyboard player for Procol Harum. Recording and mixing went over a period of four weeks. As we recorded, Rough Trade distribution went into a major, tumultuous downturn just after introducing a new computer system. Fire records had just moved their entire operation into the Rough Trade offices. As the distribution company went into receivership they took almost the whole "indie" network of companies with them. We were caught up in this whole storm and the cd did not come out until almost two years later. For the rest of 1990 we played around London and did a short acoustic tour of Germany and Switzerland with Crime and the City Solution. We headed back to Melbourne just before Christmas. This whole episode was quite devastating for me as I really thought I had a strong bunch of tunes together and was really glad to be back working with the Coral Snakes. CD and Vinyl album recorded in London, August 1990. Released in early 1992 on Fire records in London. Now available on Universal Music Australia. Produced by Phil Vinall. Recorded at the Greenhouse, mixed at the Barn, London. "$1,000,000 in a red velvet suit"
"I got myself a beautiful nightmare"
"A love that blinds a love"
"Somebody tryin to hold you now"
"I was the hunter and I was the prey"
"I caught my heel in a crack of time"
"Everybody does what they want to"